Rabbi Manis Friedman, a noted Biblical scholar & recognized for his grasp of Jewish mysticism founded Bais Chana Institute of Jewish Studies in Minnesota. Rabbi Friedman serves as the dean of this yeshiva that is exclusively for women. From 1984-1990 he served as simultaneous translator for the Lubavitcher Rebbe’s televised talks. Rabbi Friedman is a professionally-ranked member of the National Speakers Association. His speaking tours take him to every part of this country as well as Israel, England, The Netherlands, South Africa, Australia, Brazil, Venezuela, Peru, Canada, and Hong Kong. 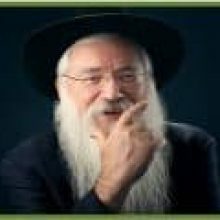 Born in Prague, Czechoslovakia in 1946 and immigrated with his family to the United States in 1950, he received his rabbinic ordination from the Rabbinical College of Canada in 1969. World-renowned author, counselor, lecturer and philosopher, Rabbi Manis Friedman uses ancient wisdom and modern wit as he captivates audiences around the country and around the world. He hosted his own critically acclaimed cable television series, Torah Forum with Manis Friedman, syndicated throughout North America. Over 150,000 copies of his provocative yet entertaining tapes, both audio and video have been sold. Following the publication of his book, ‘Doesn’t Anyone Blush Anymore’, he was featured internationally in over 200 print articles, and interviewed on more than 50 television and radio talk shows worldwide.